Currently, anyone over the age of 15 can become a member of CVUUS. Membership has no credal requirements. Instead, we require that you commit to participating in the life and community of CVUUS, including financial or volunteer support. Contact Rev. Barnaby to discuss joining CVUUS. 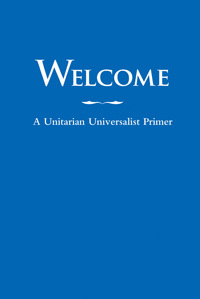 We suggest that you attend a “New UU” class to learn more about CVUUS and Unitarian Universalism before you join. They are offered every fall and spring. Fall Greetings to One and All! This is the welcome season for renewal of our involvements in RE, choir, and inspiring congregational projects – including the start of the Ground Floor construction! Every Fall we provide “New UU” classes, open to anyone who is exploring or planning membership, as well as to members and friends who want to learn more about our faith. The schedule includes lively presentations led by Rev. Barnaby about UU history and the story of this congregation; these are tentatively scheduled for after the Sunday services on October 21st and 28th. There will also be a gathering for “Sharing our Spiritual Journeys” on an evening the week of October 15th, date to be determined by the needs of participants. Child care will be available as requested, also snacks, for all the classes. There will be a brief welcoming ceremony for those who choose to become members, during a Sunday service before Thanksgiving. Check the Weekly Blast (our weekly newsletter) and the Orders of Service for updates on the class schedule, and contact Rev. Barnaby, the office, or myself about your interest, questions, and scheduling needs. In addition to planning for paths to membership, our team serves by welcoming one and all, and by supporting the growth of connections, with one another, and with opportunities for service and spiritual development.